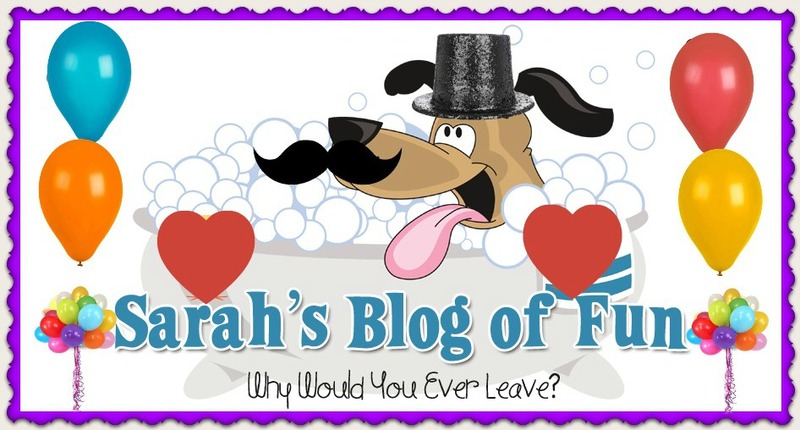 SARAH'S BLOG OF FUN: See The Nightmare Before Christmas And Bring Your iPad!! 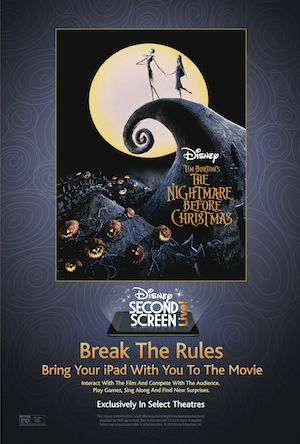 See The Nightmare Before Christmas And Bring Your iPad!! BURBANK, CA, October 10, 2013 – Beginning October 18 in select theaters, The Walt Disney Studios invites fans to join Jack Skellington for a spooktacular special engagement of Second Screen Live: The Nightmare Before Christmas, an interactive moviegoing experience. and bring your iPad to the theater to explore the cult classic from the mind of Tim Burton and become part of the story like never before, engaging with the film in real time through songs, games and audience participation, including competition between friends and teams. Second Screen Live is an all-new Walt Disney Studios mobile application that enhances the theatrical moviegoing experience. Unlike the traditional theatrical experience, Second Screen Live is a special screening event for iPad users only where moviegoers are encouraged to “break the rules” and experience a classic film in an exciting new way through gameplay on their tablet device. When: Second Screen Live: The Nightmare Before Christmas will play exclusively in select theaters starting October 18, 2013. Requirements: Guests will need to bring an iPad or iPad mini (running iOS 5.0 or higher) to the theater with the Second Screen Live: The Nightmare Before Christmas appalready installed. The App: The app can be downloaded for free from the iTunes store. Just search for “Nightmare Before Christmas Second Screen Live” in iTunes. Fans can also take home the 20th Anniversary Edition of the cult classic, Tim Burton’s “The Nightmare Before Christmas”. The film was released in stores nationwide on September 10th and just in time for Halloween. This amazing cult classic produced by Tim Burton (Edward Scissorhands, Corpse Bride), features the cast of Chris Sarandon (The Princess Bride) as Jack Skellington speaking voice, Danny Elfman (Simpsons) as Jack Skellington singing voice & Catherine O’Hara (Home Alone) as Sally. For nearly 90 years, The Walt Disney Studios has been the foundation on which The Walt Disney Company was built. Today, the Studio brings quality movies, music and stage plays to consumers throughout the world. Feature films are released under the following banners: Disney, including Walt Disney Animation Studios and Pixar Animation Studios; Disneynature; Marvel Studios; Disney|Lucasfilm; and Touchstone Pictures, the banner under which live-action films from DreamWorks Studios are distributed. The Disney Music Group encompasses the Walt Disney Records and Hollywood Records labels, as well as Disney Music Publishing. The Disney Theatrical Group produces and licenses live events, including Disney on Broadway, Disney On Ice and Disney Live!